The boys and I made these pumpkin cookies after we carved, roasted, and pureed my son Bennett’s pumpkin he grew in the garden. 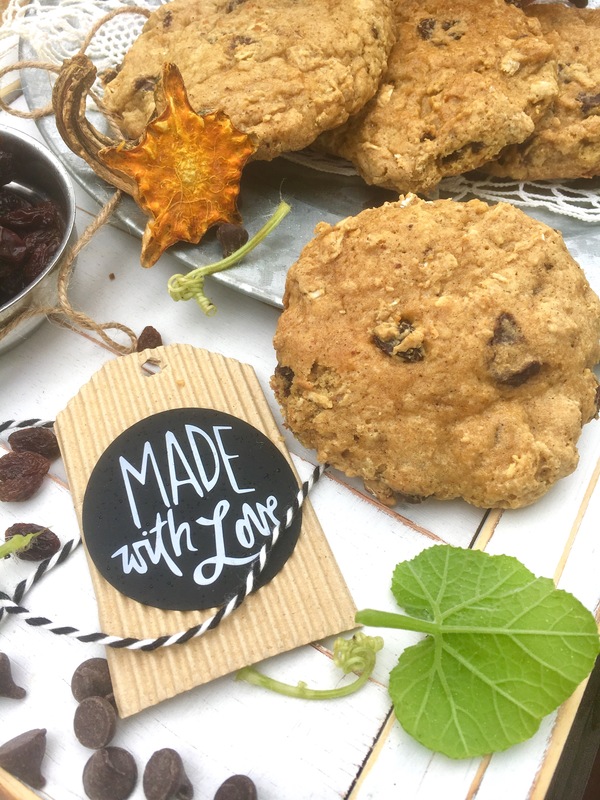 These cookies are the perfect combination of soft and chewy and are a nice change-up from your traditional oatmeal raisin cookies! Plus, if you’re pulling pumpkins out of the garden this is fun and festive way to use some of that pumpkin puree! How handsome is my little garden helper!?!? Gosh, I love him and love that he enjoys the garden as much as his Mama! 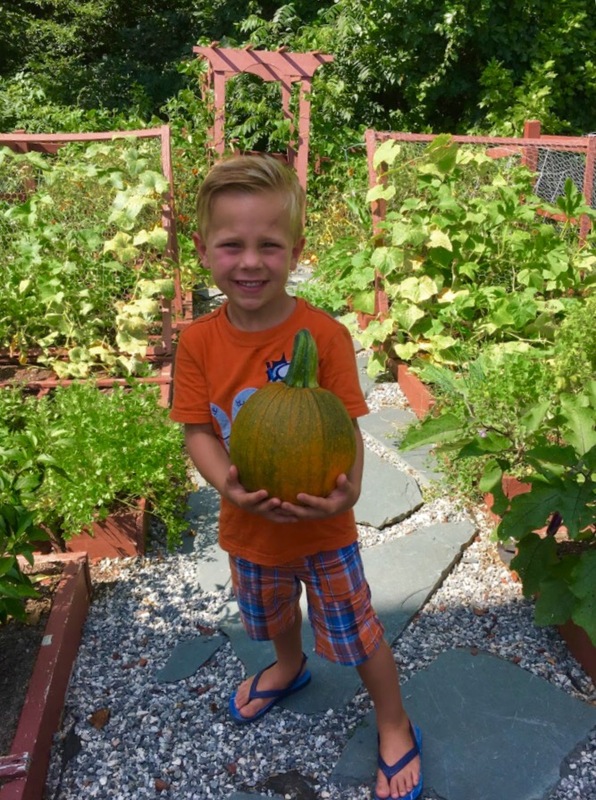 I just had to share this pic of Bennett in the garden after he picked his pumpkin he started from seed! He was so proud! Now back to these delicious cookies! 1. Preheat oven to 350 degrees. In a large bowl mix together 2 cups of flour, salt, baking soda and pumpkin pie spice. Make sure it is mixed well and there are no lumps. 2. In a mixer blend together sugars and softened butter until creamy. Then add vanilla and eggs and mix until combined. 3. Add in the pumpkin puree and mix until combined. Then turn the mixer on slow speed and pour flour mixture into pumpkin mixture and allow to combined until it forms a dough. 4. 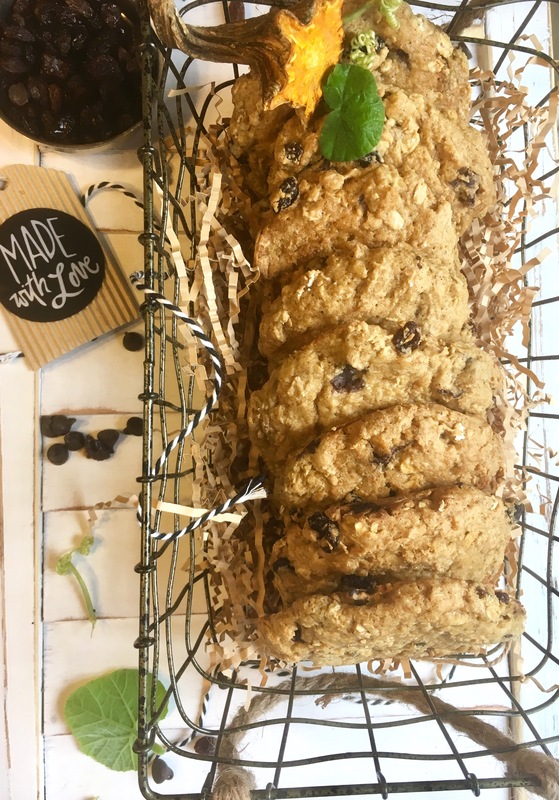 Then one at a time add the oats, raisins and chocolate chips to the dough and mix slowly. TIP: If your dough happens to be a little to wet you can add 1/4 cup of flour to it. 5. Your dough should be a little tacky at this point. With the extra 1/2 cup of flour, flour a work space and place dough onto the work space. Work the 1/2 cup of flour you have sprinkled onto your work space into your dough. This should get ride of this tacky texture. TIP: If your dough is not tacky you can skip step 5! 6. Form balls with the dough and place on baking sheet that has been sprayed with a non stick cooking spray. Bake for 12-14 minutes or until the cookies are golden brown around the edges. 7. Remove from oven and place on a cooling rack. Allow to cool for 5 minutes then serve with a large glass of milk and ENJOY!!! If you are a pumpkin lover like myself, check out some of my other yummy pumpkin recipes below!